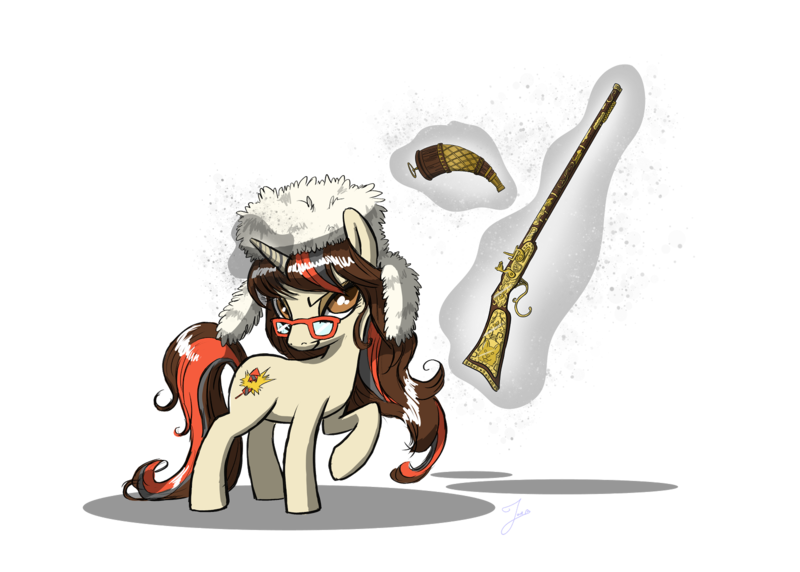 Lurking Rhythmically: Monday Gunday Guest Post: Carrying the PMR-30 Concealed - Ponies. Pistols. Prepping. Today's guest post comes to us courtesy of Gwen Patton. In addition to being a web cartoonist, she has been an informal (not NRA certified) firearms instructor for the Pink Pistols for 10 years. She also suffered a spinal injury in 2007, which required surgery. She needs a cane to walk, suffers from near-constant severe nerve pain, and cannot withstand the recoil traditional self-defense calibers ("32 acp, you might as well throw the gun. 380, you might as well shoot 9mm," she said in an interview). However, she has found the Kel-Tec PMR-30 to be an effective concealed carry pistol that is comfortable for her to shoot. I rested my cane up against the wall of the range lane, put down the small stack of paper targets, and hung the cardboard backer on the metal hooks thoughtfully provided. The roll of masking tape was on a chain attached to the shelf, and I tore a piece into three little tags to attach a silhouette target to the backer, two at the top, one at the bottom middle to keep it from blowing around in the slight breeze of the exhaust fans. I used the electrical lever to run the target out to a decent 10 yards, good enough for a half-size target, and a nice warm-up. I had three boxes of ammo, one of hollowpoint carry ammo, two of target ammo. I like to practice with both, so I don't get disused to the feel of firing what I carry. My bag was still slung across my shoulder, and I reached into it to draw out the weapon, which I placed safely on the shelf, pointing downrange. Likewise, the second magazine which was in a side pocket. I’m not a big fan of off-body carry, but this is a new weapon, and I haven’t yet found a good concealment holster for the dead of summer. If it was fall or winter, I could use my shoulder rig and a jacket, or my 511 conceal-carry vest, but it’s over 90 degrees out there today, t-shirt weather, and it’s hard to conceal anything, much less something full-sized. So into the bag it goes. The upside: it doesn't weigh very much, even fully loaded, and doesn't drag on my shoulder even as much as the sketchbook and pencil box it replaced. The weapon is my brand-new Kel-Tec PMR-30, a sleek steel and aluminum device with a Zytel grip, magazine, and trigger guard. Unloaded, it weighs only 13.6 ounces, and a full 30-round magazine of .22 WMR weighs 6 ounces. With a full magazine and a full spare, it comes in at just under a pound. Yes, I said a 30-round magazine. It’s a double-stack polymer magazine that, admittedly, is slow and difficult to load, but once you have it loaded, represents a significant throw weight of defensive fire. The 4.3” barrel is the shortest Kel-Tec felt sufficient for reasonable accuracy, and I agree. I have an old Charter Arms .22 WMR revolver with a shorter barrel, and it’s one of the most inaccurate firearms I've ever fired. But the Kel-Tec is a tackdriver. I take my stance on the firing line and rack the slide. The slide throw is not long, and the slide isn’t heavy. There’s a slide-release lever on the left side, convenient to the right thumb, and an ambidextrous safety above and behind it. The sights are high-viz fiberoptic dots, very bright and clear in just about any light, but are of little or no help in total darkness. There is a short Picatinny-style rail under the barrel that will accommodate a light or laser if you wish. The trigger is smooth and does not suffer from excessive grab, stutter, or steps. It releases cleanly with a firm squeeze, and here is where the nitpicks begin. All Kel-Tecs have an issue with grip, from the P-11 upward. You cannot limp-wrist a Kel-Tec,or it will not cycle properly. The same is true of the PMR-30. You must have a firm grip to provide a solid foundation for cycling the action. Failing to do so will usually result in either a stovepipe or nosing on the ramp. There is, however, a caveat to that. 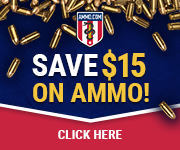 The factory expresses a keyholing issue with 40gr Maxi-Mag ammo, and claims it will feed properly otherwise save for sporadic keyholing, but I have found it to be somewhat more comprehensive than simple keyholing. I found out that if you use this particular ammunition, you will suffer interminable nosing on the ramp every 3rd or 4th round, regardless of grip, while the 30 or 50 gr. rounds will function perfectly unless you severely limp-wrist the weapon. The company strongly recommends against foreign ammunition, that may not follow strict standards of case pressure, and I did not tempt fate. I found that the 45-gr hollowpoint Federal ammo I am using for carry works quite well, does not tend to nose on the ramp, and is highly accurate, though I did find at first that the sights tended to pull to the left. It took a couple of magazines to find that I had to place the post on the right hand side of the notch consistently to achieve perfect accuracy, but once I did this, I could put rounds down the same hole with significant frequency, thus earning the “tackdriver” classification. This was at ranges of between 7 and 15 yards on an indoor range, with half-size silhouette targets, simulating defensive distances. The weight of the weapon during use was minimal, as was felt recoil. This resulted in quick target reacquisition and a shortened time to second shot. With a small, light round, this is essential. But why did I choose such a small, light round in the first place? Why not use something heavier, with more stopping power? Actually, my old choice of weapon was my Kimber Pro-Carry Ten II, a 14-round .45 ACP, or, if space was a premium, a S&W 649 Bodyguard .357 magnum. But a few years ago, I had a car accident and broke my neck. Complications from the neck repairs left me in constant pain, and unable to practice with a larger weapon, because the recoil up the arm and into the neck leaves me in acute distress. I might be able to use a large-caliber weapon in an emergency, but I can't sustain long practice with one. I can, however, practice with the PMR-30, and the large magazine capacity means it is even viable for self-defense if necessary. I haven’t gone shooting for years until I got the PMR-30 because of excessive pain. Since I got it, I've gone shooting three times, and gotten my skill back easily. I do believe the .22 WMR is a viable self-defense round, and here’s why: the FN FiveSeven is used as a military sidearm in several nations, and the FN P90 PDW is used by Special Forces and Counter-Terrorist groups. The FiveSeven fires the NATO 5.7x28mm round, with a bullet weight of between 23-31 grains and a muzzle velocity of around 2,000 f/s, giving a kinetic energy of around 400 ft-lbf. The .22WMR has a bullet weight of between 30-50 grains, a muzzle velocity of 1,200 f/s from the PMR-30, and a kinetic energy of about ¾ that of the NATO round due to the greater mass of the bullet. When fired from a rifle, the kinetic energy of the .22 WMR round is nearly the same as that of the FN FiveSeven’s NATO round, and the PMR-30 has 30 rounds to the FiveSeven’s 20. Beyond that, I’m a firm believer in shot placement as the key to stopping power, and the accuracy of this weapon is fully up to the task. The only thing I need to find now is a good dedicated on-body concealment holster that works in hot weather as well as cold, designed specifically for the PMR-30. I have found one online from Simply Rugged Holsters, but have not yet acquired one for testing. Being a high-quality leather holster, the cost has been prohibitive right now, but I plan to get one as soon as I can. The holster I have my eye on can be worn outside the pants, or with special straps inside the pants for full concealment. I would really like to try this, in hot weather it sounds like it would be exactly what is called for, when just a t-shirt would cover it. Until then, I’ve been making do with off-body carry, which works decently due to the low weight and bulk of the weapon, or with a generic standard 1911 strong-side holster that my father’s old Remington-UMC 1911 was stored in. I borrowed the holster and left the 1911 in the vault where it will be safe (no pun intended), and the holster works fine so long as I have a jacket or long button-down shirt to cover it. The weapon is so lightweight that I scarcely feel it on my belt, and all of the length is in the barrel, do I don’t get a beavertail poking me in the kidney like I do with a 1911. I’ve worn it all day like this without significant discomfort. In conclusion, for $400 -- about a third the cost of the FN FiveSeven, firing ammo that costs far less than the FiveSeven's -- you get a weapon that’s lighter than a FiveSeven, holds more ammo than a FiveSeven, and has nearly the punch of a FiveSeven. It isn't without some issues, and probably could benefit from a “fluff and buff”, polishing the ramp and other moving parts to help avoid feed and extraction issues, is a little finicky about ammunition, and could stand to have the sights slightly tweaked. But it’s not finickier than some 1911’s, and overall, it’s an acceptable piece of hardware that carries easily, and with some practice can be accommodated and used effectively. You say you are, or have been, a firearms instructor? Not NRA Certified. But I taught informally for about 10 years in the Pink Pistols. I founded the Delaware Valley Chapter, and was the organization's International Media Spokesperson from about 2004-2011. I stopped teaching regularly in 2007, when I had my spinal surgery, but still gave advice from time to time, and have been politically active in support of the 2nd Amendment for a long time. How long have you been carrying your PMR-30? I've had the PMR for about a month, I'd say. Except for the time when I've been out of state, I've carried it. I'd wanted one for a while, but I had a terrible time finding one, and when one became available, I jumped on it. How many magazines do you carry every day? I typically carry one spare magazine if I have it. Do you have any accessories or modifications on your PMR-30? Except for the generic holster, no. I haven't had it long enough to figure out what I'd want, or what would be useful. I think I might have it "fluffed and buffed", perhaps the ramp polished and some of the sharp edges dehorned, and the sights trued, but other than that, I don't know I will add anything. I don't know that I'll use the rail right now. If you could tell Kel-Tec anything, or have them fix anything, what would it be? Three things: Make the magazine easier to load or include a loader, make the sights more easily adjustable, and address the ramp-nosing issue. If a Lula loader becomes available for it, I'm getting one. What kind of issues are you experiencing with the magazines? I've got very sore hands because of nerve problems, and it just takes a long time to load them. If you follow the book and put the rounds in slowly and pack them like they say, it works fine, but it takes forever. If you don't mind my asking, what kind of accident did you have? After work one evening, I was re-arming from the safe in my trunk, and a 40 mph wind blew the steel trunk lid down on my head, compacting 3 vertebrae and effectively breaking my neck. I had surgery to fuse the 3 levels and put in a titanium plate, but complications caused bone spurring at each of the levels. As a result, I have severe nerve pain throughout most of my body to one degree or another all the time. I can walk short distances with a cane, but beyond the distances inside my house, I need the powered wheelchair out in my van. It simply hurts too much and tires me out too much to go further on foot. Gwen's webcomic, Jenny Everywhere's Infinite: Quark Time, may be found here. As much as I dislike .22WMR as a carry cartridge, better to hit with a .22 than miss with a .45. And the 30 rounds of "chew factor" has merit.